Imagine that society is collapsing or a war is coming. How do you get by in a city environment when water is contaminated and the heat in the house has stopped working? How do you stay hidden in an urban environment and how do you avoid conflicting with opportunistic gangs that run the city? 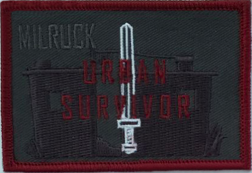 In Urban Survivor, the cadres, with experience from both civilian crisis management and military survival training (SERE) will guide you through a played scenario when society has suffered from a severe crisis and you are more or less united with your burdened equipment, survivorship, and your knowledge. Learn a homework that can be applied both on the move or at a real crisis. 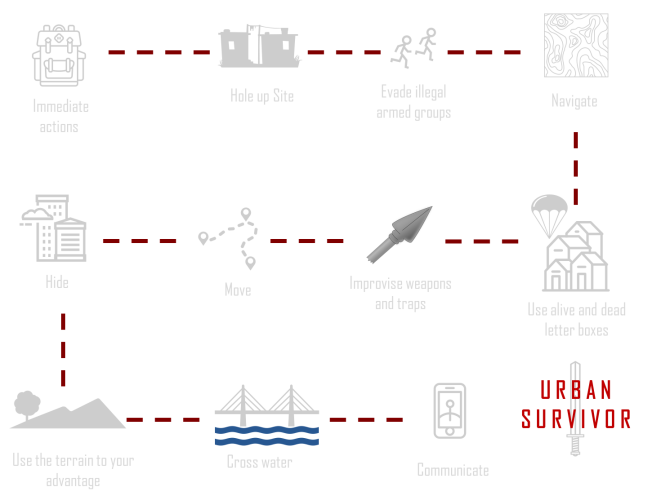 What: Urban survival education. No training event without an experience-based problem-solving scenario. Timings: 15-18h, start at 6 pm and end around 12:00th day thereafter. Recommended equipment: Outdoor clothes, Smartphone, knife, headlight and home-made "bug out bag" (rucksack) according to information mail. Event patch. Never sold, always earned.